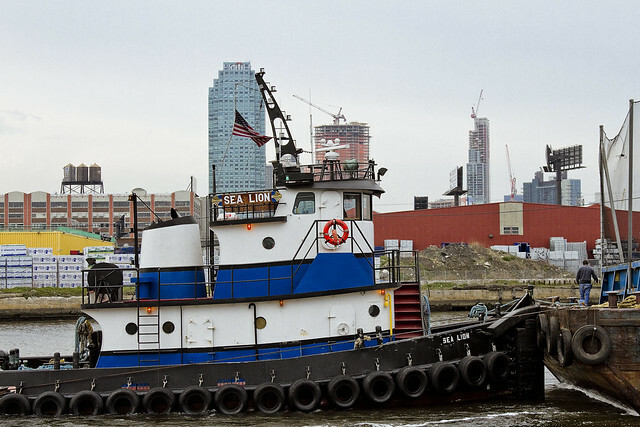 Tug Sea Lion, at Newtown Creek, in today’s post. 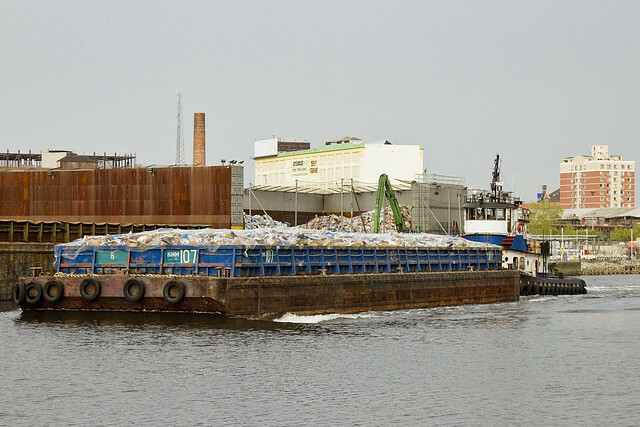 Not too long ago, one found himself lurking around the Nature Walk at the Newtown Creek Waste Water Treatment Plant when the tug Sea Lion appeared on the languid waters of that legendary cataract of municipal neglect referred to, in hushed whispers, as the Newtown Creek. 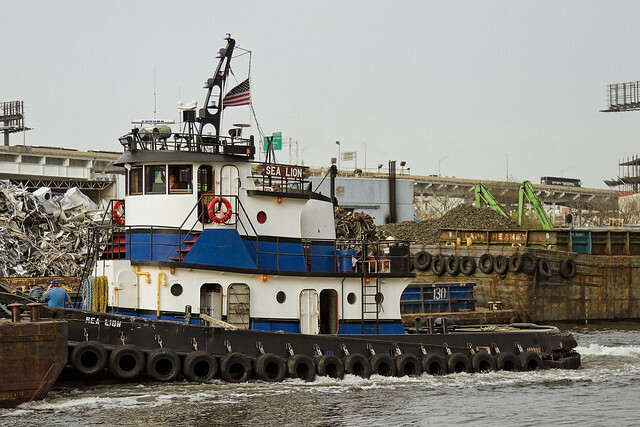 It got me to thinking about life, and how much of the last decade I’ve spent photographing Tugs and Newtown Creek, or some combination of the two. Constant pursuit of material examples of these two subjects has taken me to a lot of weird and interesting places over the years. I’ve met a lot of incredible people, and made quite a few friends who are also interested in both topics. The real treat has been the research, of course, and the broader story of a carefully hidden history that has appeared – one which I’m still piecing together. 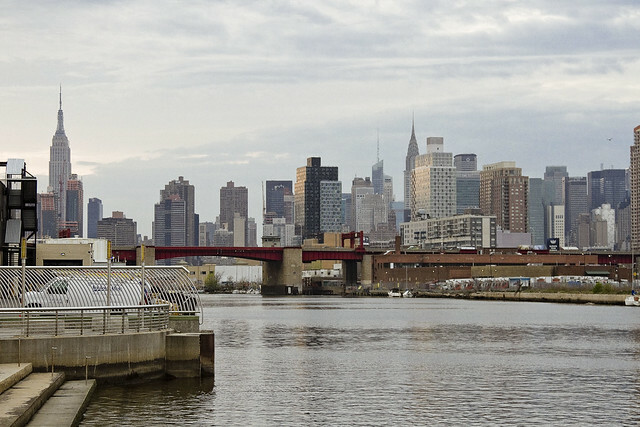 It starts with Newtown Creek, and the tendrils leading out from the waterway. Erie Canal? I can tie that one back to DeWitt Clinton sitting on his porch in Maspeth. Jello brand gelatin? Peter Cooper in Greenpoint. 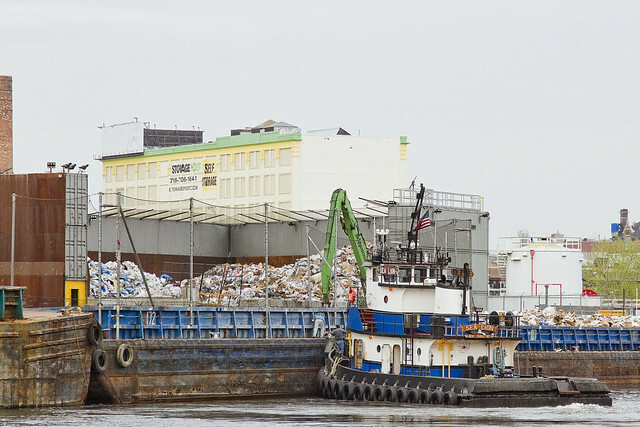 In the shot above, which depicts the Sims Metal facility in LIC’s Blissville, are three distinct subjects which I’ve ended up learning as much as I possibly can about – maritime shipping, the garbage and recycling industry, and that tall building with the green stripe on top – incidentally – is the former GEVC factory where electric cars and trucks were manufactured in LIC back in 1915 (which led to me learning about early electric vehicles). 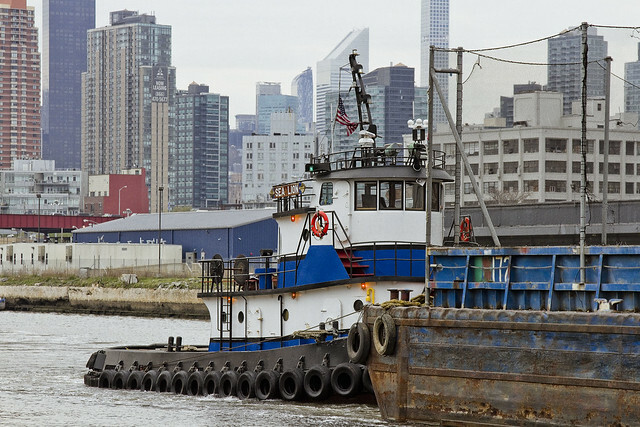 Newtown Creek forced me to learn about the early petroleum industry, and to study manufactured gas plants, which led to looking at the chemical industry. Luckily, Phelps Dodge was the owner of the former General Chemical factory at the border of Blissville and Maspeth nearby Penny Bridge. The Creek has also led me into Calvary Cemetery, which forced me to learn about 19th century Irish Catholicism and has somehow resulted in me photographing the Irish Language Mass at Old St. Patrick’s Cathedral on more than one occasion. That led to reading up on Continental Iron Works, at Bushwick Inlet, where the USS Monitor and the caissons of the Brooklyn Bridge were built and launched. Everybody asks me when I’m going to write a book. I tell them to subscribe to this blog, as half the Newtown Creek book is already written and contained herein at this – your Newtown Pentacle. 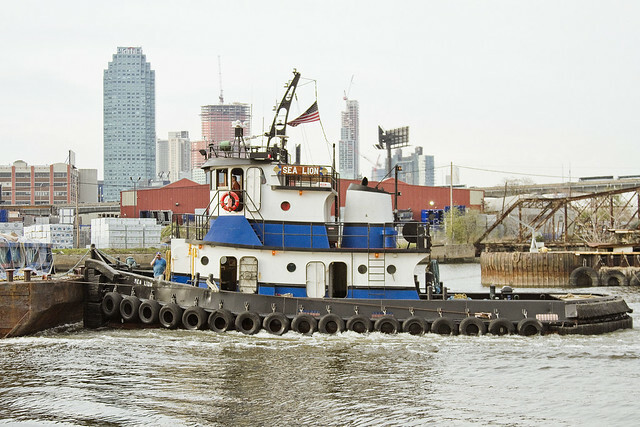 Thing is, the Newtown Creek story is so unbelievably complicated and so intrinsic to the story of not just New York – but the entire United States – that without pictures to prove what I’m saying about this waterway – you’d think I was making it all up.